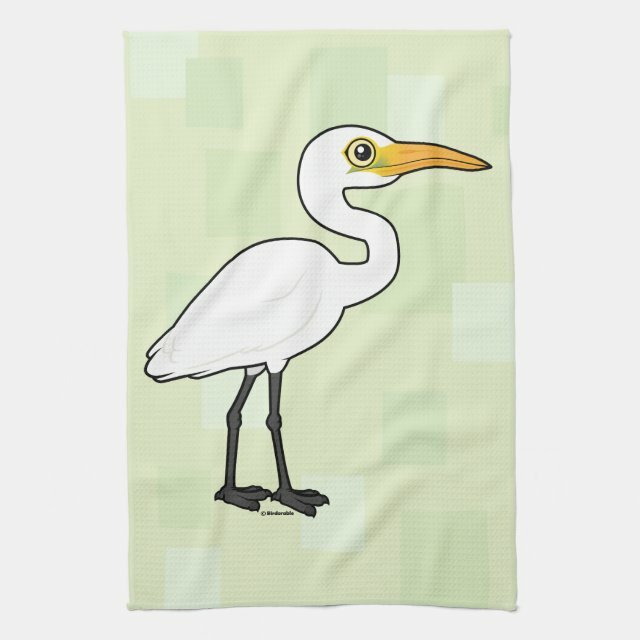 Cute Birdorable Great Egret Kitchen Towel 16" x 24"
Another cute gift idea from Birdorable! The Great Egret is a large white wading bird with a wide-reaching range across many of the tropical and temperate regions of the world. Our cute cartoon Birdorable version of this bird makes a fun gift idea for bird lovers everywhere!